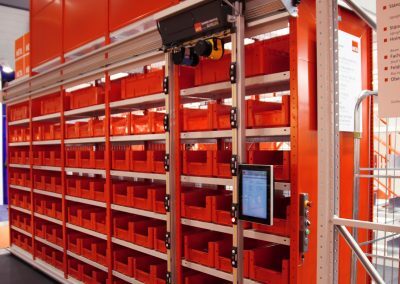 The SAFELOG Shuttle is an intelligent solution for your warehouse with shelving racks, in which small quantities and many different container sizes are commissioned. 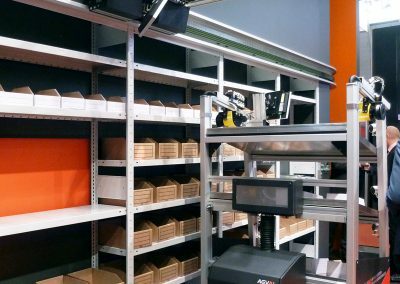 The shuttle is especially suitable when your warehouse cannot be operated fully automatically. 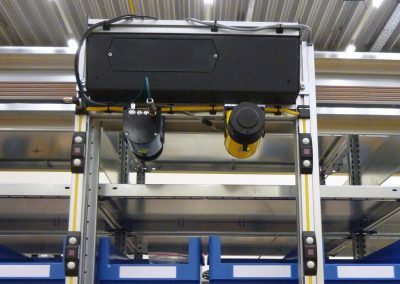 It travels in the aisle with a safety clearance above the commissioning zone or alternatively above the racks. The beamer (point of light) lights up the compartment from which the employee should pick or put. 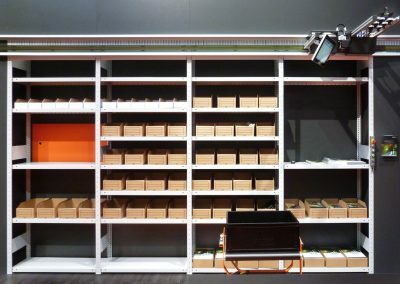 The materials management system or warehouse management system communicates this information immediately through a direct connection. 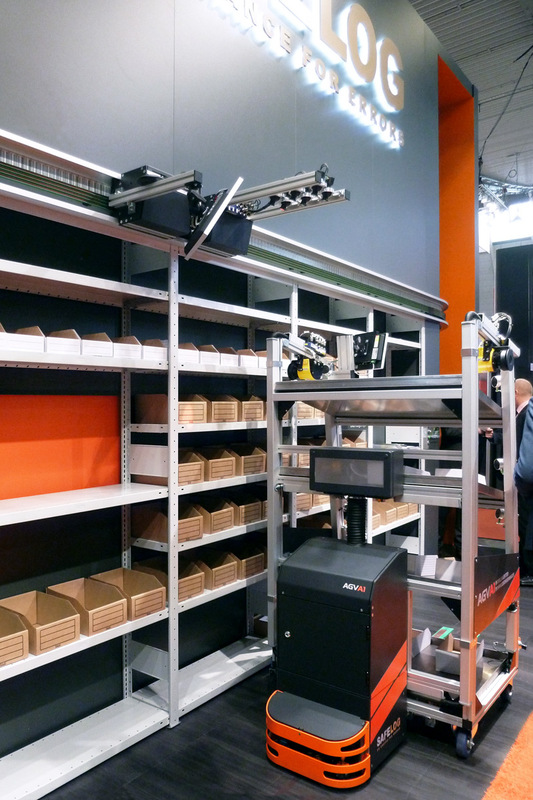 The shuttle is fully capable of negotiating curves and can run on both sides of the racks or along the various aisles. 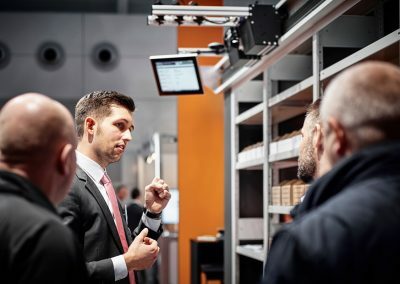 As commissioning trolleys you can use already available trolleys, which your employees push by hand or AGVs from SAFELOG that communicate with the shuttle. Minimal installation on the racks. 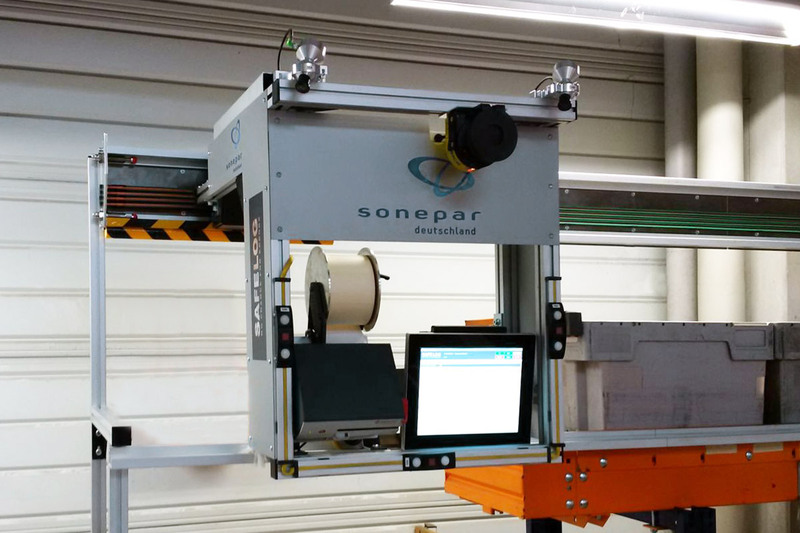 Best possible process reliability and less complaints. Simplicity means minimal training time required. Shuttle fully capable of negotiating curves. More flexibility and time savings. Various commissioning methods are taken into account in the standard software and can be used immediately. The Safelog Shuttle comes in two basic versions with additional variables. The Beamer-Shuttle leaves the rack front completely free. 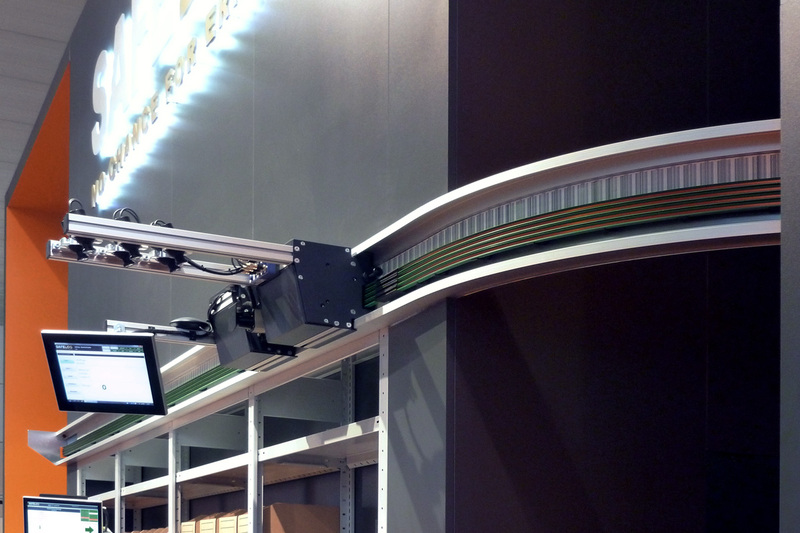 It visualises picking and putting with beamer technology. 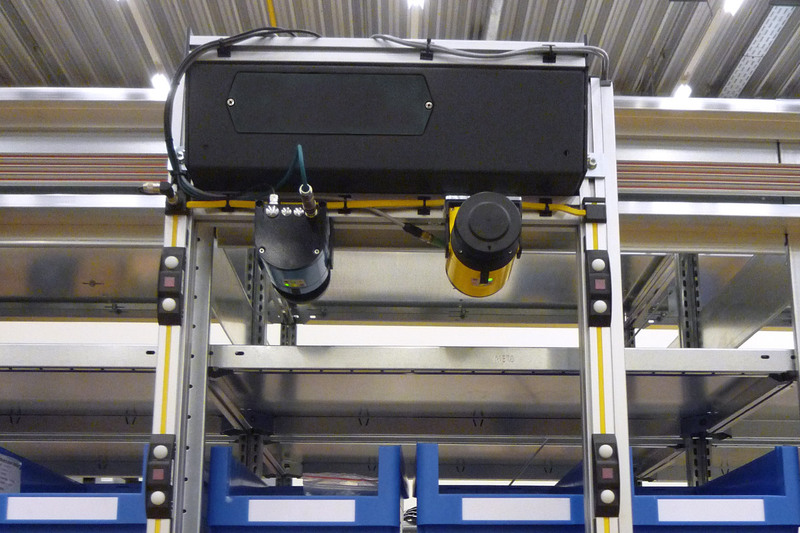 We suit the colour and position of the beamer to your rack layout and to your commissioning trolleys if required. 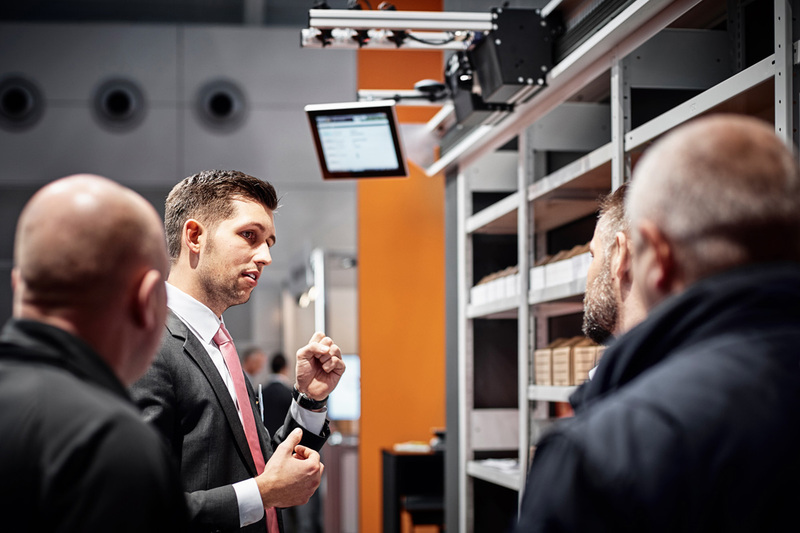 To monitor picking, choose from our patented sensor technology or manual confirmation via a connected mobile device on the commissioning trolley. 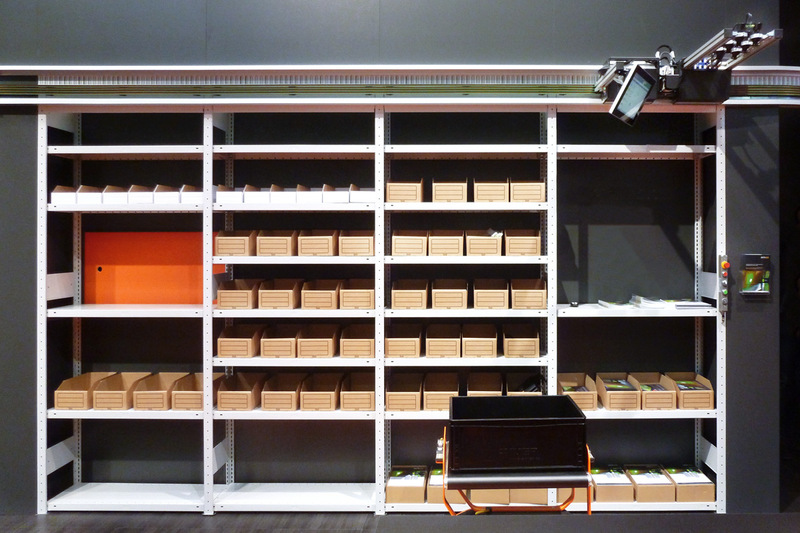 The Frame-Shuttle works with a mobile frame with attached compartment indicators. The frame with sensors and indicator elements moves along the rack. The order picker follows. The frame is individually customised to your rack. 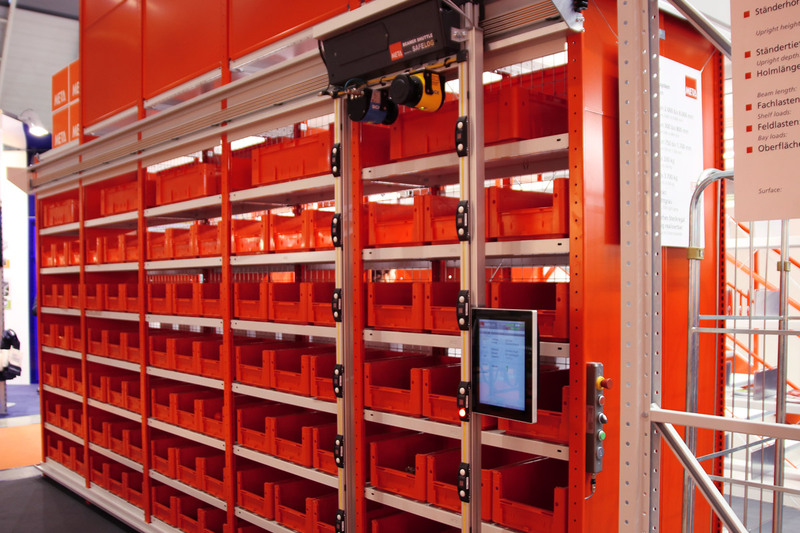 In an aisle the frame can be used on both sides with a shuttle – on the left or right racks. For confirmation choose from our patented Safelog sensor technology or a manual technique with compartment indicators.